Very active people, the Brooklyn Flea Market entrepreneurs. They change location all the time so be sure to check their website for the latest information! 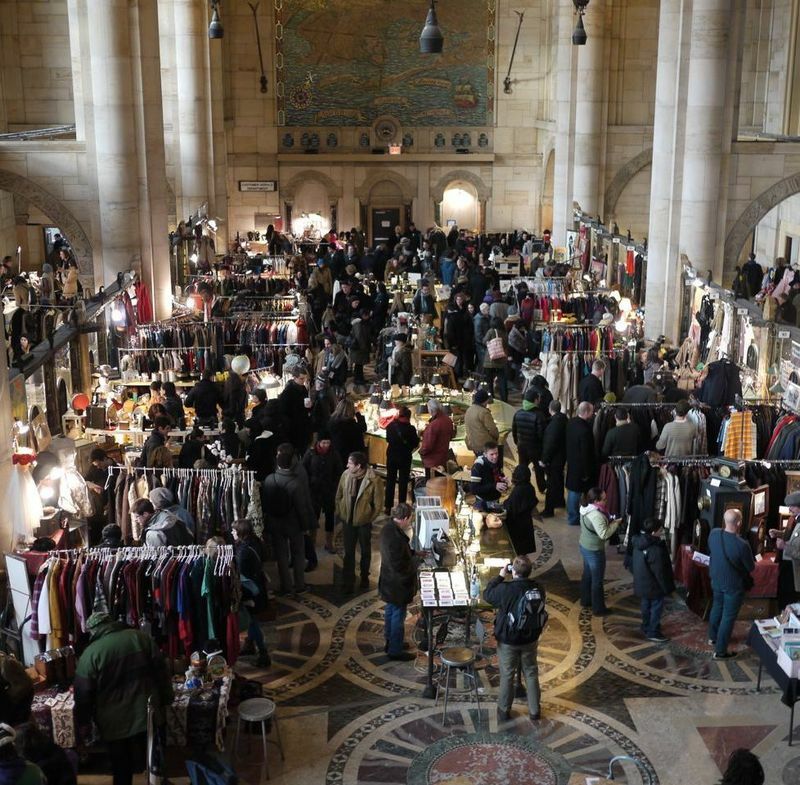 This time Brooklyn Flea market was housed in the former Williamsburg Savings Bank. A great grand building. Every weekend more than 100 vendors offer goods like vintage clothing, stamps, jewelry, purses/bags, flags, paintings etc. and artists and designers offer their selfmade stuff. And that’s actually what I like most. I’ve bought some nice prints and cards here. 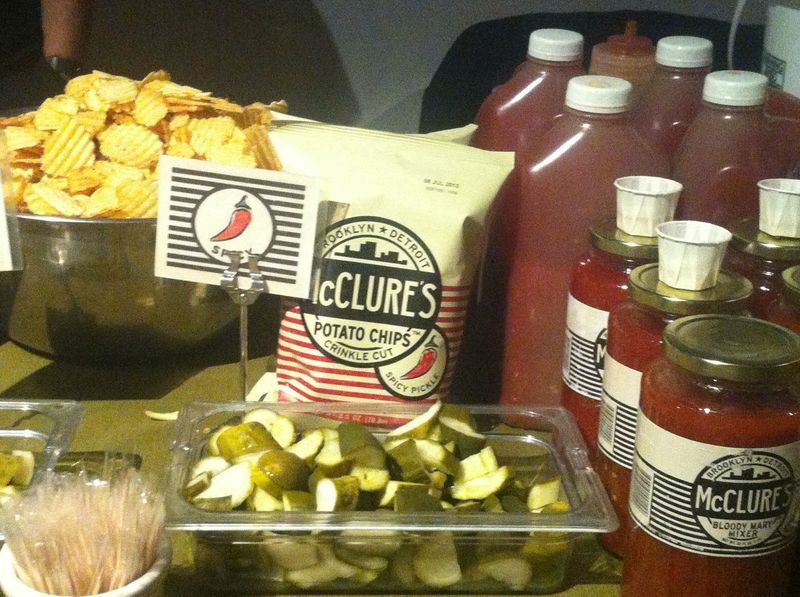 In the basement you’ll find the foodcourt with goods like crab-to-go, homemade pickles and biological fab foods. There's a Brooklyn Flea every weekend of the year. Between April and October outdoors and indoors between November and March. The Brooklyn Flea Market is operated by the "Brooklyn Flea" organisation which also organise Smorgasburg, fun food markets! Hey and while you’re in Brooklyn, you might as well wander around. You could, for instance, rent a bike and follow us on our Brooklyn biketour. Made, tried and tested by the Newyorkcitytrippers. The Brooklyn Flea concept pretty much remains unchanged, unlike its locations. Check Brooklynflea to make sure you’re heading towards the right address.